Vinings Landing Marina - Coastal Properties, Inc. This beautiful, full-service marina is located in protected Little Creek, on the North-East corner of Norfolk, close to the Little Creek Channel. Its prime location gives boaters a very protected basin from weather but only minutes to the Chesapeake Bay and the Ocean. We are located just 3 miles west of the Bay Bridge-tunnel, where the areas prime fishing and boating is enjoyed. 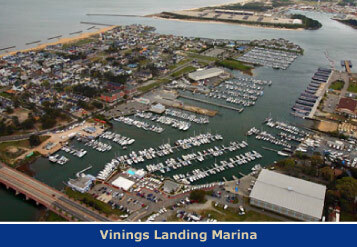 Vinings Landing Marina has recently changed hands and is now under new ownership and professional management! Much of the marina and grounds are undergoing upgrades and improvements, in order to provide the boat owners a prime, high quality location from which to boat and enjoy the water. Known for it's prime location, Vinings Landing offers boaters a fuel dock, floating-dock slips, a huge modern protected dry-storage facility, large swimming pool with sun-deck, clean restroom and showers, laundry, an onsite Cafe restaurant and bar, ship-store, Ice, free Wi-Fi service, shopping, entertainment and other great restaurants are close by. Floating dock slips are available for vessels up to 70', offering 30-amp and 50-amp service. 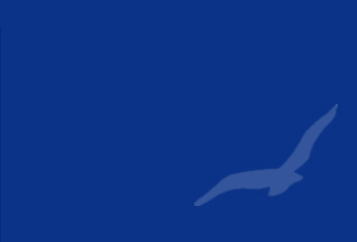 Annual, seasonal, monthly and transient slips are available. Live-Aboard's are welcome! If you prefer to keep your power boat in dry storage we offer a modern, safe large dry-storage building serviced by three Wiggins Bull Fork Lifts. Call for details on size and rates! Our fuel dock is located inside the marina, close to the dry storage lift area for convenient gas and diesel. Very competitive rates are offered year-round.